USCIS will scrutinize every petition and application based upon two policy change memos recently released. 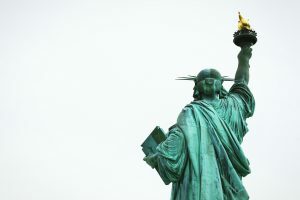 Because of changes in United States Citizenship and Immigration Services (USCIS) policy, anyone submitting immigration petitions or applications should first consult with an immigration attorney. This is especially important in cases that could previously be completed without an attorney, such as basic naturalization (citizenship) applications, petitions for family members, and adjustment of status applications (green card applications). Recently USCIS released two policy memoranda that will dramatically change the way USCIS officers deny immigration applications and petitions. Previously, if an application or petition was incomplete or insufficient, USCIS would send the applicant a Request for Evidence (RFE) or a Notice of Intent to Deny (NOID) and allow the applicant to submit additional evidence in support of their application. However, beginning on September 11, 2018, USCIS officers are encouraged to deny any application or petition without first issuing a request for additional evidence or a notice of intent to deny. See PM-602-0163, July 13, 2018. USCIS officers are told to deny any applications, petitions, or requests that lack sufficient initial evidence without issuing an RFE or an NOID to allow the applicant to correct the deficiency. Id. So in simpler terms, there will be no opportunity to submit something that was forgotten in the initial application. There will be no do-overs. In conjunction with the new policy on RFE’s and NOID’s, USCIS has also instructed adjudicators to issue Notices to Appear (NTAs) to applicants whose applications, petitions, or requests are denied. See PM-602-0050.1, June 28, 2018. A Notice to Appear is the charging document that initiates removal (i.e., deportation) proceedings. In the past, USCIS has not issued an NTA after they deny, for example, a visa petition or naturalization application. But under the new policy, adjudicators will do just that. In effect, these new policies could result in the following scenario: A United States citizen is married to a foreign national and files a visa petition on her behalf with an application to adjust status (i.e., green card application). The couple forgets to include a copy of the wife’s birth certificate with the filing. Rather than issue an RFE for the birth certificate, USCIS denies the application and sends the wife a Notice to Appear in removal proceedings. Now more than ever, if you are submitting an application, petition, or request to USCIS, it is best to do so with the assistance of a knowledgeable, experienced immigration attorney. At Eldridge, Nachtman & Crandell, LLC our immigration legal services attorneys and staff have a combined 19 years of experience handling immigration cases, including naturalization (i.e., citizenship) applications, petitions for family members, and adjustment of status applications. Before attempting to file on your own, consider speaking with an experienced immigration attorney at Eldridge, Nachtman & Crandell, LLC.